The second single teasing Ladytron's next album — the legendary Liverpool electronic act's first after a 7-year hiatus, slated for release in the first quarter of next year — debuts exclusively on PAPER today. 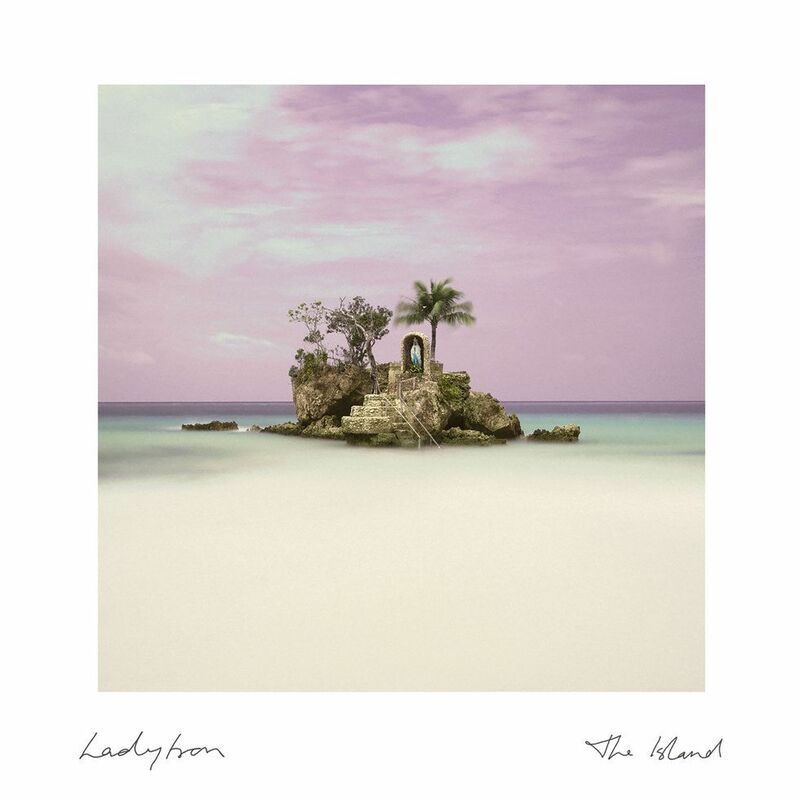 Delivered in familiar Ladytron fashion, "The Island" feels like a nod to longtime fans who've been awaiting the group's return for so many years. But like "The Animals," released in March, there's some subtle expansion of sound on this one. In fact, expansion is quite literal a description — vocalist and songwriter Helen Marnie tells us "The Island" intentionally affords space for crescendoing emotional effect. The subject matter behind it certainly calls for it. In an interview with PAPER, Marnie explained how the song is both grim and hopeful — in part, a reflection of the push-and-pull of today's political and social climate. What were you thinking in terms of sonic influences for the single? We've been away for so long; it's been like seven years or eight years. [So] I wanted to write something that wouldn't scare people away, but also leaned on what Ladytron was good at and how we were before, but maybe introducing something a little bit different. I think "The Island" harks back to earlier Ladytron when we first started, right about 2002, 2003. I wanted it to be a bit more pop, but not pop in that cheesy sense of the word. That's why we've got high synths, arpeggiated synths, and things like that. It's nice to hear something familiar, as someone who's been a fan for so long, but to hear hints of something new, too. It's not a huge departure, though. No, I think that with "The Island" there's quite a bit of space, sonically. Whereas our last album I find a bit fuller. I think [the space can] build emotion. Speaking of emotions, can you tell me more about the message? You referenced the disquiet that we all feel in a statement for this track. Can you elaborate on that? If you read into the lyrics literally it's quite dark, I would say — quite bleak. But that's not really what I wanted to convey; that's not really how it is. It is a comment on all the social things that are going on right now, but I wanted to create a sense of disorientation, and maybe claustrophobia, which I think a lot of people are feeling right now. I think the lyrics are like juxtapositions. There's a lot of different things sitting together, but they're not necessarily agreeing with each other. I think everyone is feeling that disorientation and confusion. No one really knows what it is these days, and it's really hard to get the truth. When you're talking about hitting the ground here, it feels very rock bottom. The lyrics mention sirens of the apocalypse. Yeah, it's very much like that. Hopefully the only way we can go is up. It's just very trying times. But, you know, that's how things go. They go in cycles. Things do need to hit rock bottom in order for there to be resistance. I think that's basically the influence. Personally, it is personal as well, the lyrics. It's not just a social commentary. It's about me. But I don't really want to go into that. I respect that. Can I ask, though, if it's personal for you specifically or is it in relation to the whole band? Okay. I wondered about the title, if the idea of the island itself is a metaphor. Yes it is. [Laughs] I live in Scotland, so there's been a lot of things that have been happening here. I think that for the people that live in Scotland, we feel like we don't really have a say in situations. The UK is feeling quite small for me right now, and Scotland is obviously a part of the UK, but we're our own country, so I think it's also quite hard for us to accept certain things that are happening. So that's my reference to the island: We are this small place, and we don't really have a say sometimes. But equally, that's a bit political, and I don't want to go too political. Yeah, I think it's just unrest, really. And knowing that no matter how you act, how you vote, laws you pass, in the overall bigger picture, for Scotland it doesn't really make a difference to the outcome. That's the island. That's what I'm talking about. Just being this insular society that has a lot of control but is equally becoming more and more insular and small-minded. Is there anything you'd like to mention about the forthcoming album? Yeah. It's finished. It's being mastered now. We spent some time down in Southeast England recording it for about a month or so. I'm happy with how it's turned out. It took a while to get things right, but I think it's a good mix of Ladytron. I hope people will appreciate it. It's just exciting to finally have made it. I'm definitely excited to hear it. You can pledge to be part of Ladytron's new album, here, to receive exclusive updates and immediate downloads of the band's new singles.